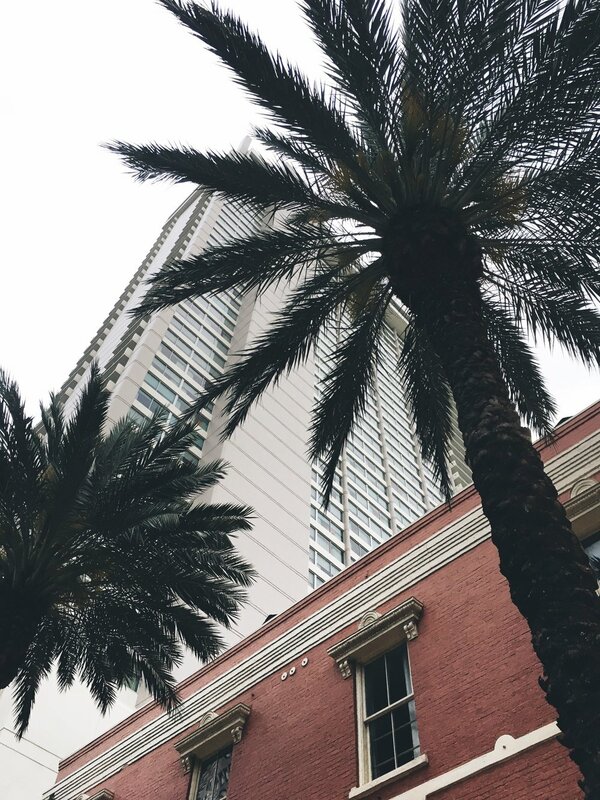 Hands down, one of my absolute favorite cities ever is New Orleans. The culture, charisma and character of NOLA is like nowhere else if you ask me. I recently jetted off for a long weekend trip with my guy, so I wanted to share a quick recap of where we ate and what we did. Cafe Du Monde - Probably one of the biggest attractions and what everyone knows NOLA for is beignets at Cafe Du Monde. And for good reason. They have mastered the creation of fried dough and powdered sugar. 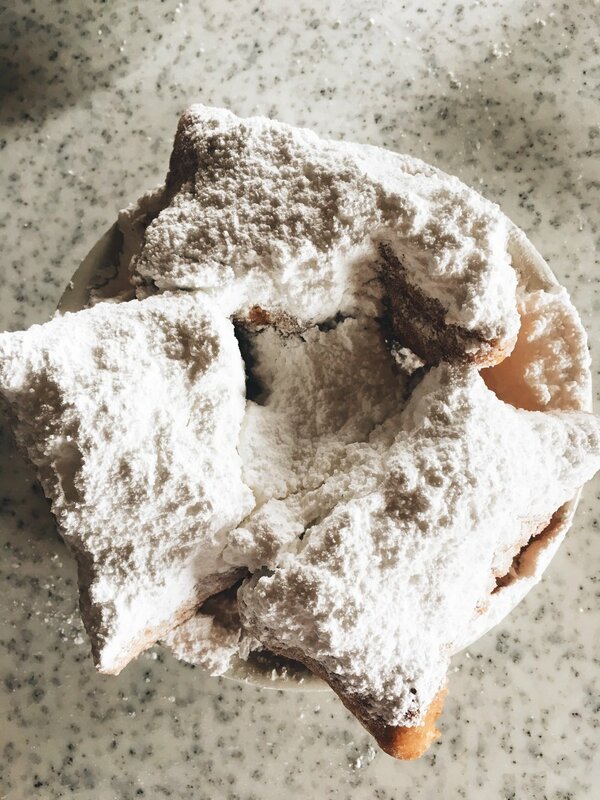 While it seems so simple, there is no beignet that comes close to that of this iconic French Quarter cafe. Compere Lapin - Located in the Warehouse District and inside the Old No. 77 Hotel (which is where we stayed), I was excited to try this traditional Caribbean meets Creole gem for the first time. I'm still salivating over the Caribbean Seafood Pepper Pot. Shaya - I was a pleasantly surprised to have my favorite meal of the trip at this modern Israeli restaurant. Located in Uptown, Shaya surprised and delighted the entire time, mostly with the wood roasted cabbage (aka A MUST HAVE). Tip: Plan to book a reservation as they go fast and very far out. French Quarter - It's nearly impossible to visit New Orleans, and not go to the French Quarter. Aside from housing the infamous Cafe Du Monde, the French Quarter is filled with street vendors, talented artists, musicians and one-of-a-kind entertainment. Riverfront - Just off the French Quarter, the Riverfront runs alongside the Mississippi River and offers a perfect picturesque backdrop. My favorite way to take it in is on bike, so I highly recommend renting bikes and catching a sunset here. Magazine Street - Magazine Street is just off Downtown New Orleans in Uptown and is home to some of Nola's best restaurants and shopping. Always a must for me every time I'm in town.